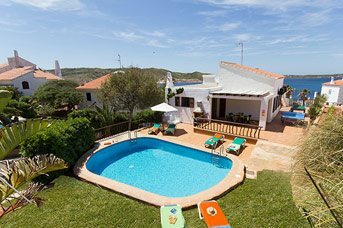 Located on the Northern coast of the island, Playas de Fornells has a relatively small community of villas and a couple of hotels perched on the hillside affording fabulous views over Cala Tirant bay. The area has a handful of shops and restaurants to choose from and Cala Tirant beach can be accessed on foot by the wooden walkway, or by car towards the far end of the bay. 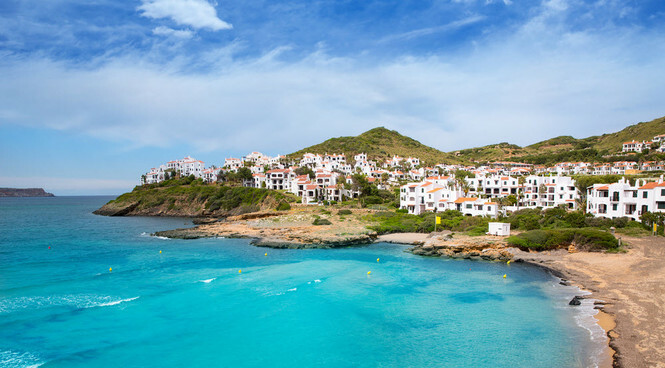 Playas de Fornells is around 4km or a 10 minute drive from the larger, more established resort of Fornells to the East, and the neighbouring resorts of Son Parc and Arenal den Castell are also easily accessible by car. The area has a handful of shops and restaurants to choose from and Cala Tirant Beach can be accessed on foot by the wooden walkway, or by car towards the far end of the bay. Playas de Fornells is around 2 1/2 mile or a 10 minute drive from the larger, more established resort of Fornells to the East, and the neighbouring resorts of Son Parc and Arenal den Castell are also easily accessible by car.